Property sub-funds in DomaCom, particularly residential property sub-funds, generally have a term to expiry of 5 years which is an exit point for unit holders. For investors wishing to exit before the expiry date DomaCom operate an online liquidity facility enabling unit holders to sell their units. Unlike unlisted property trusts DomaCom do not have a redemption process but will purchase units provided there is a buyer on the other side of the transaction. 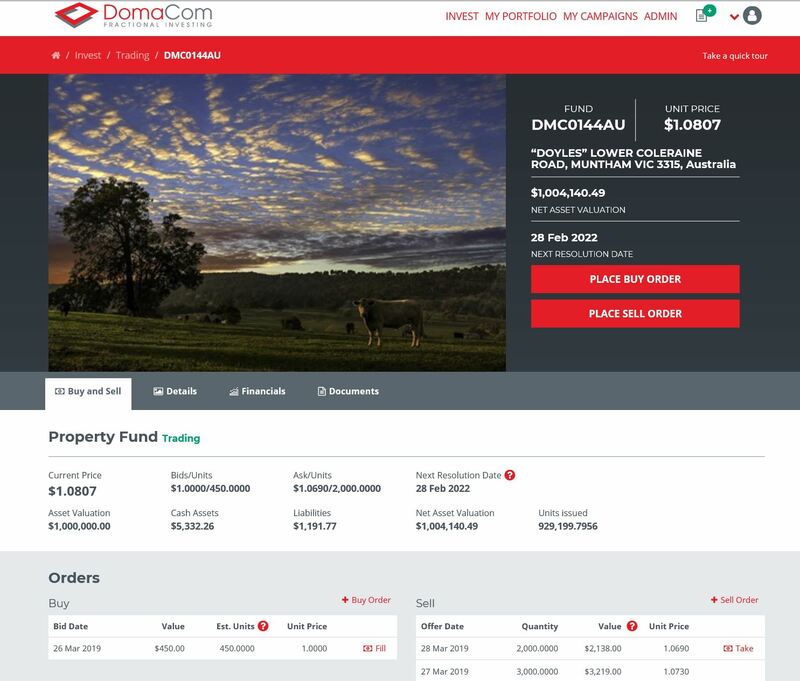 DomaCom’s online liquidity facility has buy/sell and market depth screens enabling sub-fund unit holders to offer some or all of their units for sale to other investors at a price they choose. That price may be above or below or in line with the latest valuation (valuations are conducted annually). It is an open market process much like trading shares online so when agreement is struck the transaction is complete and settlement is immediate. Conversely, the online facility enables investors to offer to buy units in specific property sub-funds that interest them. As with an equities trading account with an online broker, investors must first open an account and deposit the funds they wish to invest. This will give them access to the platform. There is a 14 day cooling off period before cash deposits can be applied to a trade. The cooling off period only applies to your initial transaction.